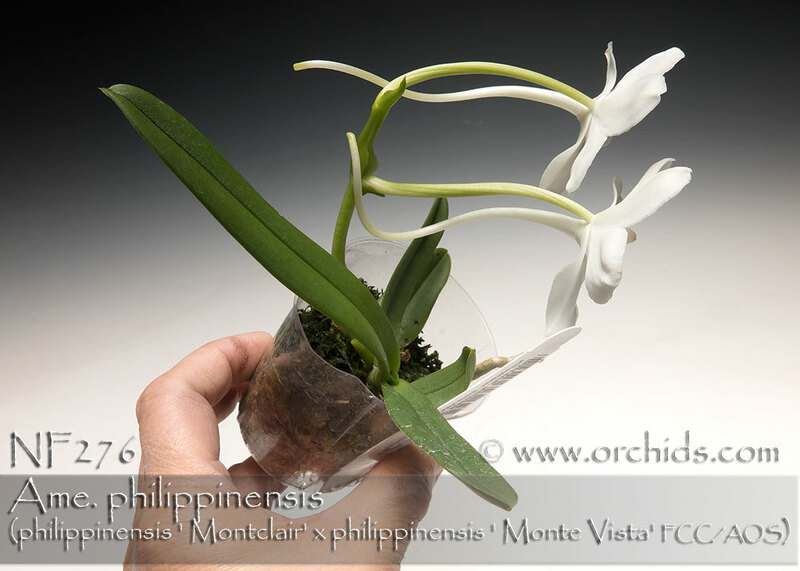 A small grower bearing large pristine white fragrant flowers ! A hot to warm grower endemic to the Philippines, it’s found on mossy trees in bright indirect light and needs to be kept evenly moist. 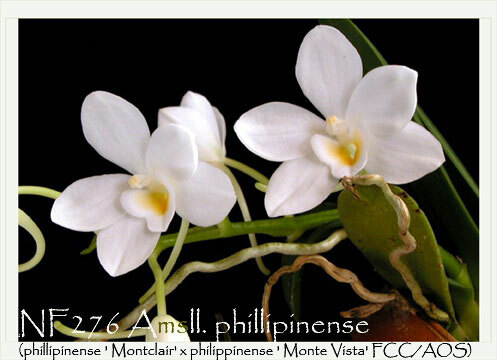 Its FCC/AOS pollen parent, ‘Monte Vista’, was noted for its unusually large full form flowers for this species. Flowering from spring to fall, it produces short 4 cm inflorescences bearing up to five flowers. Keep this species evenly moist, and although a member of the Vanda family, it prefers to be grown in moderate shade. Highly Recommended and easily tucked into any collection !